​﻿﻿Would you like to move with more ease or improve your posture? Are you seeking ﻿rehabilitation﻿ or wanting to improve your performance? ﻿Would you l﻿ike ﻿to feel more balanced? and choices for the way you move. Jane has over 25 years of experience working with a wide variety of clientele, both adults and children, and enjoys supporting people explore and discover ways of moving more efficiently and comfortably. She has an extensive background in Neurological Physiotherapy and has worked predominantly in rehabilitation settings using a Bobath (Neuro-developmental Treatment (NDT)) physiotherapy approach. She completed her degree of Master of Physiotherapy in Neurosciences at The University of Melbourne in 2001 and held a Senior Clinician position at Royal Melbourne Hospital leading the inpatient and outpatient neurological rehabilitation teams for many years before relocating to Adelaide. athletes and musicians wanting to improve their performance. Jane has been an active member of the Australian Physiotherapy Association (APA) and volunteered for several years on the Professional Development Committee - Victorian Branch. She has convened APA courses and has always had keen involvement in research activities. She has presented papers and research findings at various Physiotherapy conferences at a national and international level and continues to be involved in research, conferences, courses and advanced trainings to keep abreast of latest scientific knowledge to underpin her approach with clients. Jane graduated from her four year Feldenkrais Training Programme in 2009. She is an active member of The Australian Feldenkrais Guild and participated in the International Feldenkrais Federation Competency Facilitator Training Programme in 2011. Jane currently offers individualised sessions of Neurological Physiotherapy &/or Functional Integration® and Awareness Through Movement® group classes in Western Adelaide. "I have found the Feldenkrais Method® ﻿offers﻿ people a gentle way of exploring and learning movement specific to each individual. The classes are so very clever and effective. Simply ingenious!" ​​Would you like to see things from a different perspective? ​of all ages and all levels of performance. principles of the Feldenkrais Me﻿th﻿od®. Click here to rea﻿d a﻿n excerpt. ﻿National Pain Week﻿ is approaching us again and many Feldenkrais Practitioners from the Australian Feldenkrais Guild (a not for profit organisation) are running events all over the nation for members of our community who have chronic pain. For nation wide events click here. 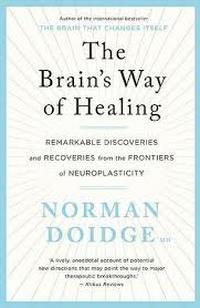 Classes are based on our current understanding of neuroscience principles. Using education, gentle attentive movement exploration (including imagined movements and mental imagery) the class will target your brain's ability to change, learn and rewire, refining your sensory feedback/output systems. Watch this video by Cynthia Allen to learn how the Feldenkrais Method help reduce chronic pain. What a wonderful opportunity to come along to a class and find out what it is all about! Inte﻿rested in joining a Feldenkrais Training Program? You can also follow the Feldenkrais Institute of Australia on Facebook and keep up to date of the many free events they are holding this year, as well as find interesting articles and video clips about The Feldenkrais Method®. Jane Searle - Neurological Physiotherapy and The Feldenkrais Method. 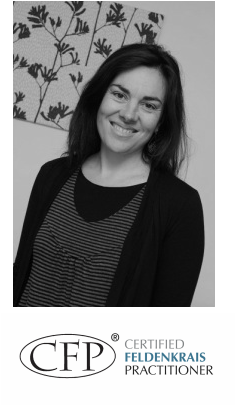 Jane has a Master Degree of Neurological Physiotherapy and is an experienced Adelaide based physiotherapist offering individualised sessions and group classes to help improve movement control and find easier ways of moving.